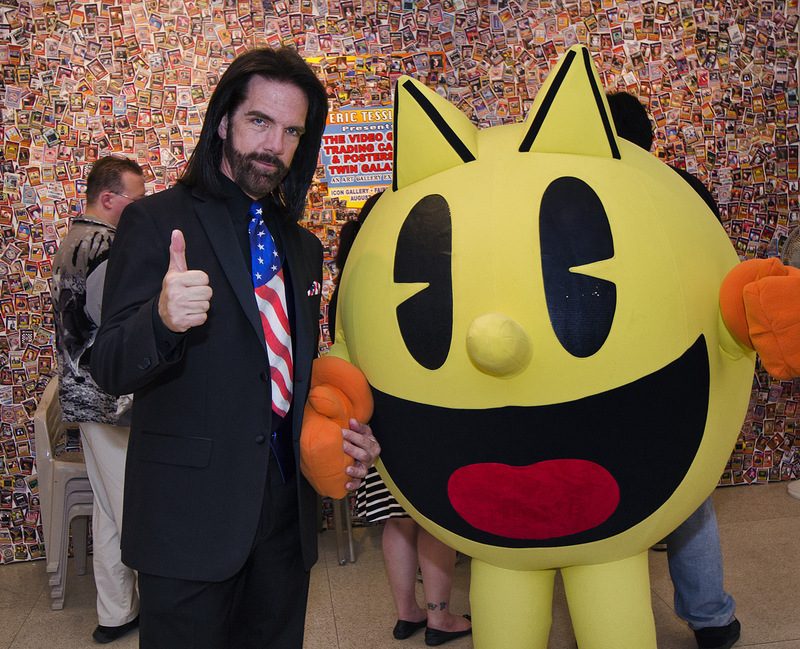 Billy Mitchell, best known for being the first person to complete a "perfect" game of PacMan and for his starring role alongside Steve Wiebe, as the antagonist in the pseudo-documentary, King of Kong from the late '00s, has been effectively disavowed by gaming record keeping company, Twin Galaxies. After securing lots of evidence that suggests Mitchell may have used MAME, rather than a legitimate arcade cabinet to achieve his million point + scores at Donkey Kong, he's has his records removed from the site and has been indefinitely banned from being included in the future. Although it can't be proved that MAME was used, through reproductions and frame by frame analysis of the direct-screen capture of Mitchell's 2010 Donkey Kong score runs, it is clear that an arcade cabinet was not used. Mitchell has since said that the footage some have seen does use MAME, but that the original tape doesn't. He's a confusing individual that seems to dance around what may or may not be the truth. Regardless, Twin Galaxies itself, and two other independent third-parties (one of which was hired on by Mitchell himself) have also confirmed that the footage is not legitimate, which has led to not only those score removals, but as with Twin Galaxy policies on cheats and fraudsters, it has stripped all of Mitchell's records from its site. They are (were) quite numerous too, as Mitchell was a prolific gamer in his youth, setting several world records. Although Mitchell's removal from the Twin Galaxies leaderboards doesn't do much to the Donkey Kong standings -- he has long fallen from the top-10 -- what does make an impact is the historical records. Anyone who has watched King of Kong will remember that Billy Mitchell claimed to have the first million-point score, by producing a tape of his play at an inopportune time for documentary protagonist, Steve Wiebe. With the removal of Mitchell's scores, Wieve is now the officially recognized, first million-point player of Donkey Kong. Trying to get a worlds first in a video game, or trying to be the best at a video game, is like, trying to see who can hold onto their virginity the longest, even if you win, you're still a ******* loser. Then you must have been quite a winner in your life judging from all your comments here so far. I always knew this scum bag was a cheater... Hec never could come close to his old score.. All these years this scum bag was cheating and now finally the dirty cheating scum bag has had all his fame removed from him. No proof of cheating, still gets called a cheater and banned. **** Twin Galaxies. If you try to set any of these records on anything but the original arcade machine, then you are disqualified. Billy knew that, and he presented these as having been done on an arcade machine. Twin Galaxies determined that some of the recordings Billy gave them were not on arcade machines, and it seems they do not take that kind of deception lightly.